Together we are the solution to the climate crisis. We have dedicated the last two years for this day… And we are finally ready to launch the social network for climate action that aims to connect every one of us that wants to fight for a future on this planet. Earth Day 22 April marks the premiere of We Don’t Have Time´s awaited social media platform. Leaders, scientists, and just ordinary people from all over the world will be speaking and sharing their ideas during the event. But there is a catch. No one is allowed to fly in as We Don’t Have Time works towards a fossil-free future. But that will not be an issue for anyone as we will broadcast the full event. Just remember to register so you don’t forget to watch. If you, however, are able to travel by train or other means of climate-friendly transportation, then join us on site! The event is free of charge but the number of seats is limited so register yourself ASAP. 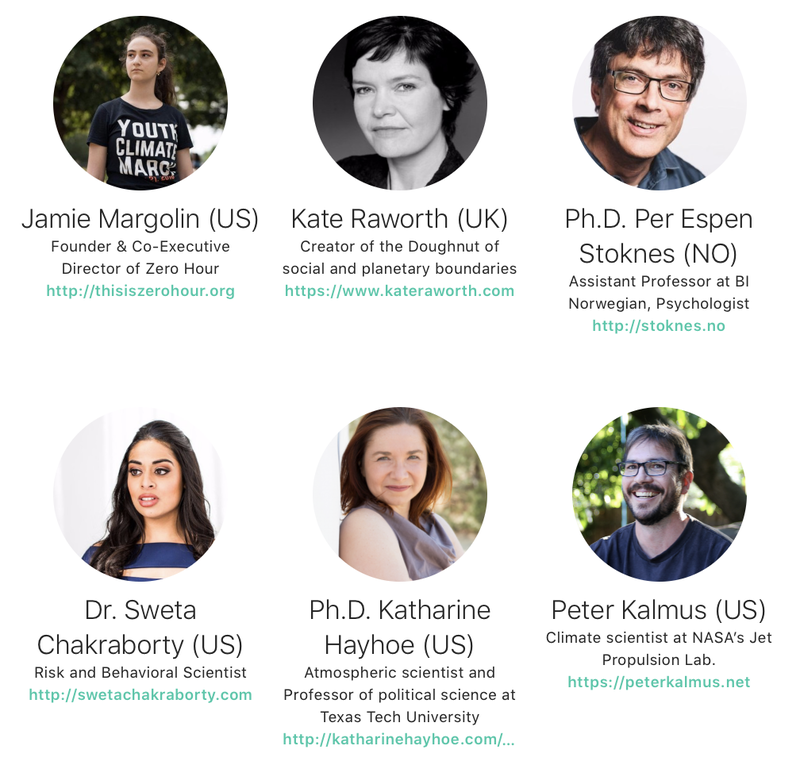 Some of the speakers attending the 2019 climate conference. The theme of the conference is “Together we are the solution” and our aim is to create relevance and understanding of, movements, conditions, opportunities, and necessities. We have felt for a very long time that nothing is happening in terms of stopping the climate crisis. A lot of talk, no action. To be able to produce more concrete solutions, will We Don’t Have Time launch a new concept of climate campaigns called “climate-love”, “climate-idea”, and “climate-warning”. You can already download our preview-app. It is a sneak-peek of the upcoming social network. 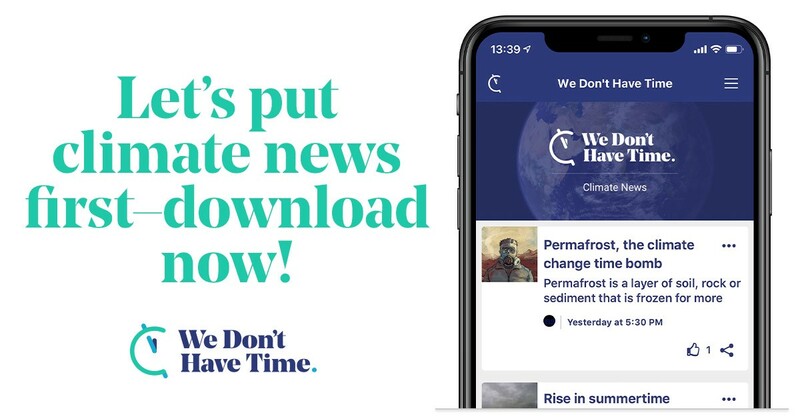 The app collects climate news from all over the world and is available on App Store and Google Play. The app will later automatically update to its full version on Earth day 22nd of April. You find more information about the conference here. We Don’t Have Time are currently building the world’s largest social media network for climate action. 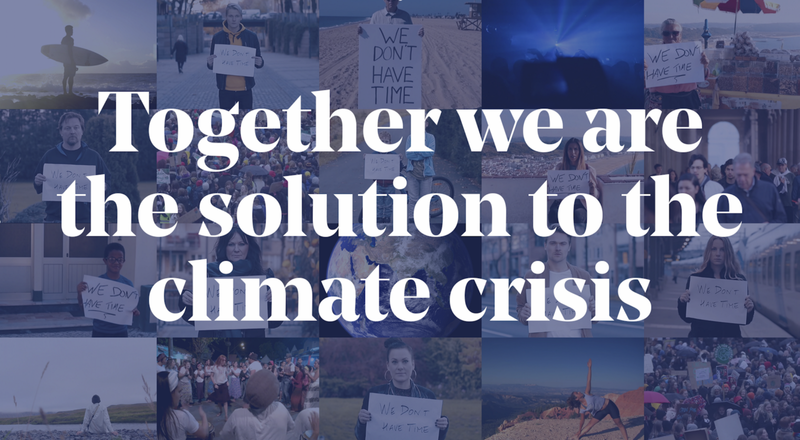 Together we are the solution to the climate crisis.